Italian lawyers for Lebanese citizens. 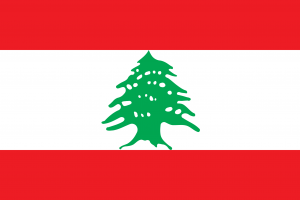 According to the "Convention between Italy and Lebanon relating to mutual legal assistance in civil, commercial and criminal law, the execution of judgments and arbitration awards and extradition", signed in Beirut on July 10, 1970, the two countries undertake to extradite the persons who are prosecuted or condmned by the courts of the other State. The treaty applies for people who are prosecuted for crimes or offenses punishable by the law of the both countries by a penalty involving deprivation of liberty of at least one year, and people were condmened for crimes punishable by the law of the requested State by deprivation of liberty of at least six months. Extradition shall be excluded when the person to be extradite is a national of the requested State. However, in such cases the requested State can undertake to prosecute nationals who have committed a crime on the territory of the other State, when the requesting State submit, through the diplomatic channel, a request for prosecution. In all other cases, extradition will not be granted if the offense for which it is requested is considered by the requested State, as political or military matter. - if the infringements are subject to prosecution in the requested State or have been judged in a third country. For more information, please contact us (click here).